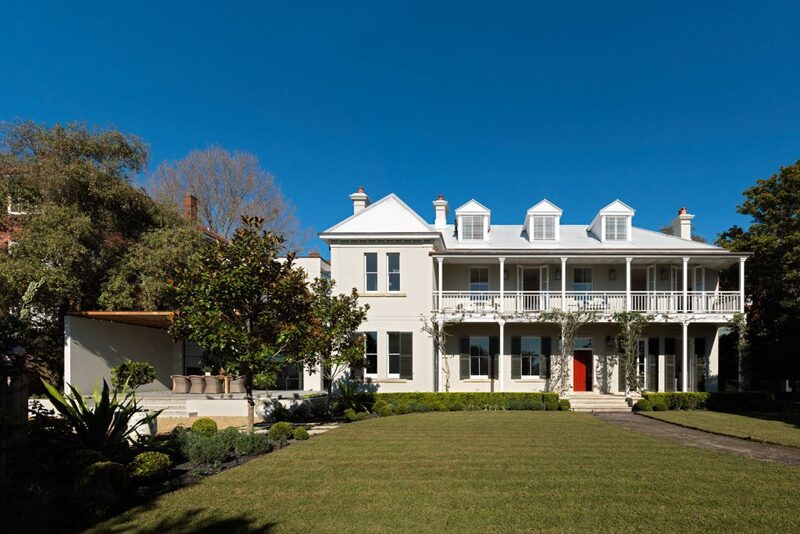 This house, set in the eastern suburbs of Sydney, is an elegant example of the blending of old and new. 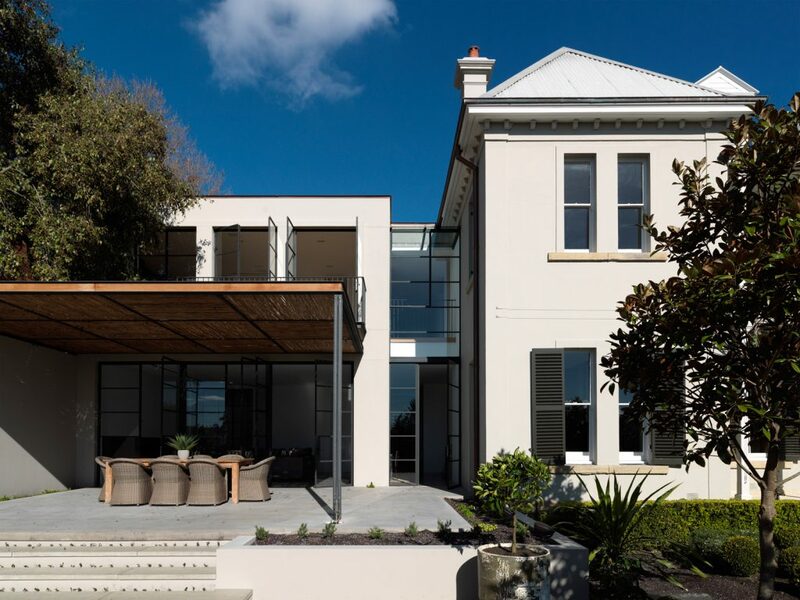 Recent work consists of a pared-back yet respectful renovation of the original Victorian house with the addition of a modern wing. The home is thought to have been built in the 1920s, but was substantially renovated in the 1980s. It is not a heritage listed property. 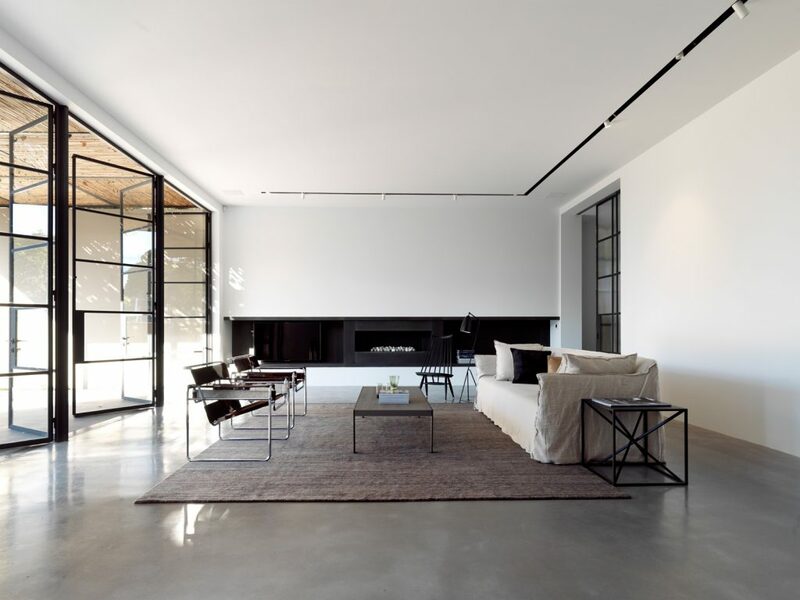 The owners elected to strip away the more contemporary layers in order to expose original bones. At the owner’s instruction, the house contains many energy-conserving and generating technologies, including a geothermal air-conditioning/ heating system. The system involves drilling 30m vertical loops into the ground to harness the stable temperature of the earth to power a heat pump. The loops are connected to the heat pump to circulate refrigerant & directly exchange thermal energy with the earth. Air conditioning is delivered through standard fan coil units. The lower indoor coil temperature of the system delivers a reduced humidity level compared to an open sourced system – meaning higher comfort levels. Utilising renewable energy has allowed the owner to reduce their carbon footprint, as well as greatly reducing the running costs over the life cycle of the equipment. materials and finishes that the architect has selected gives the building a fairly understated minimalist feel, despite its size. The modern wing contains an expansive new kitchen and family room on the ground floor and a study and staff quarters above. still operating in Australia. 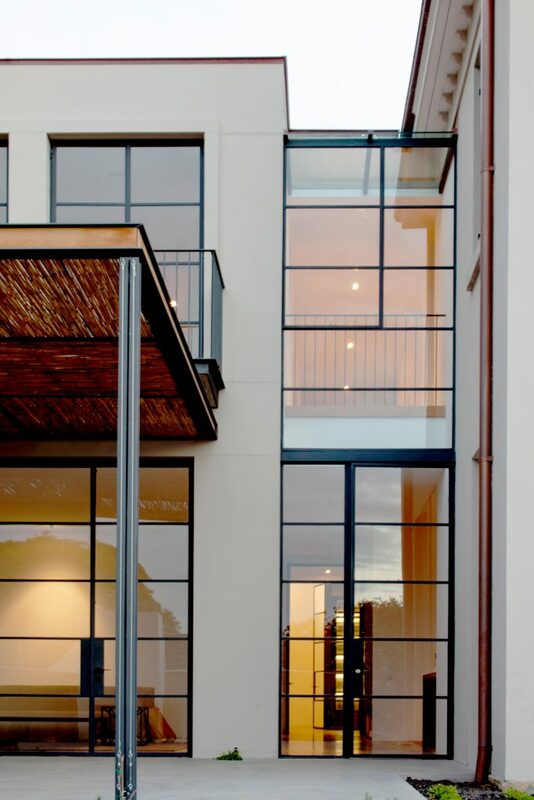 Steel windows and doors capture not only the beauty of the product, but also its strength, versatility and natural inclination towards light. 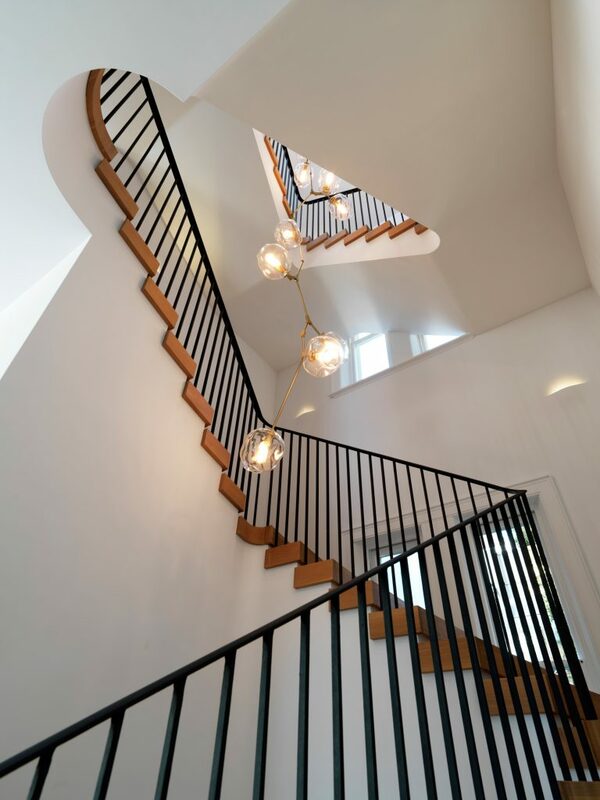 The grand modern staircase winds itself majestically down from the attic to the ground floor, linking the two sections, comfortable in both a traditional and modern setting. Click here to see more of Luigi Rosselli’s work.